The Aesop Tea Tree Leaf Facial Exfoliant comes in a 30 gm pack and should be used up to twice a week for the best results. Designed for use by all skin types, this exfoliator will help to get rid of dead skin cells and encourage the renewal of the skin, giving it a clearer look. The Tea Tree Leaf Facial Exfoliant includes some great ingredients including the Tea Tree leaves, crushed nut shells and clays. Ideal for using alongside other Aesop skin care products, this exfoliator should be mixed with your favourite cleanser to keep your skin clean and clear. It is good and natural but need to mix with other cleansing product for this day tea tree mix powder. This is such a great exfoliant. Just mix with cleanser. Can add as many grains as you want, so much better than those pre-mixed ones. 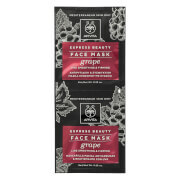 Just started using this and combined with the fabulous facial Cleanser it is excellent. 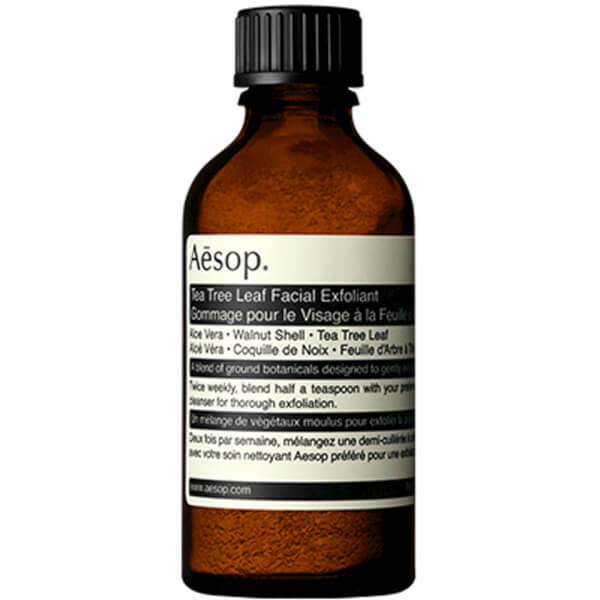 Mix a small amount with the Aesop cleanser and this forms a paste which is one of the best exfoiliants around, with a great smell. It's quite an aggressive mix, so perhaps not good for sensitive skin.